I have been playing around with this bundle that came out new this year and haven't committed to anything I specifically liked enough to share. 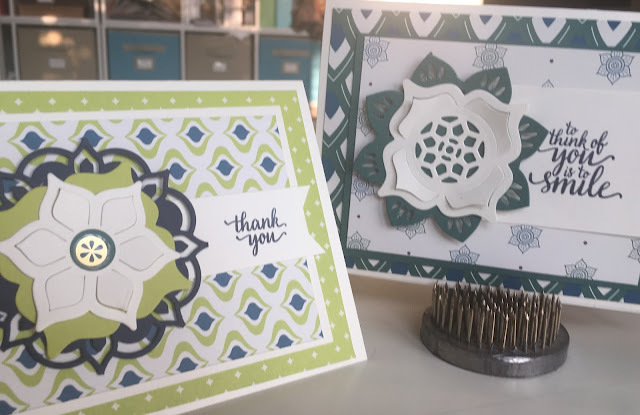 I finally made a couple cards this morning which went together so fast and easy I was amazed with all the fuss I was trying to put into them before. 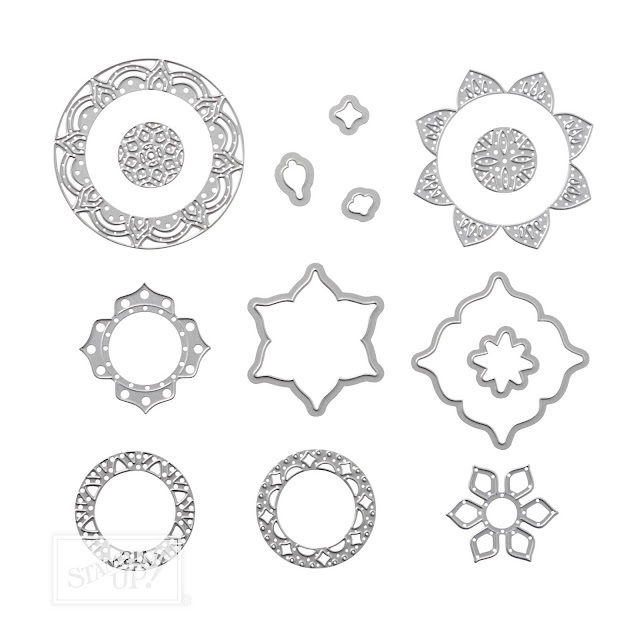 The Eastern Beauty Stamp set and coordinating Eastern Medallion Thinlits are amazing. There are so many variations and combinations with this set and I have only shown the tip of the iceberg with these two samples. In addition to the awesome set, there is all the beautiful paper you could ever imagine in the Eastern Palace Speciality Designer Series Paper. Gold foil, Dapper Denim, Fresh Fig, Lemon Lime Twist and Tranquil Tide. And they also match perfectly with Very Vanilla as a base color. So, even though it looks like lots of time went into constructing these beauties, it was really, really fast and simple. Wow I really love your hand made cards.I just can't believe that these cards are made by you completely,it looks like ready made cards with some brilliant graphics on the cover.